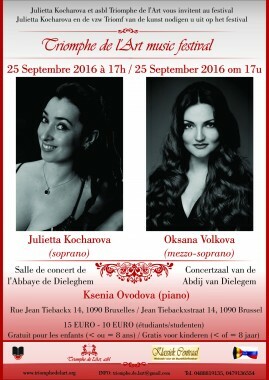 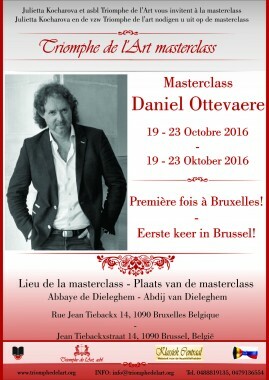 Do not miss a unique concert of sopranos and mezzo-sopranos! 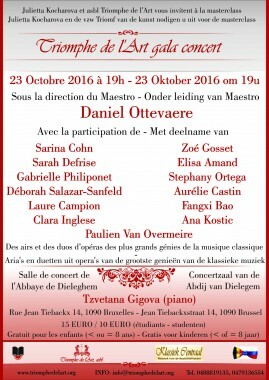 You will hear a small competition between 2 types of voices for your applause. 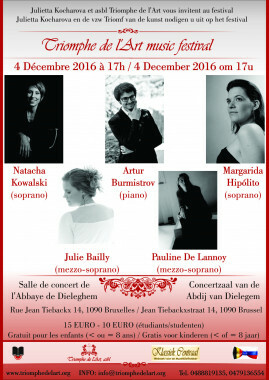 Margarida Hipólito (soprano), Natacha Kowalski (soprano), Julie Bailly (mezzo-soprano), Pauline De Lannoy (mezzo-soprano) and Artur Burmistrov (piano). 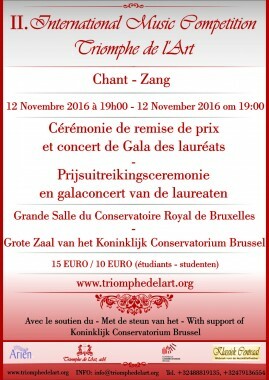 Dear public, if you want to hear winners and laureates live at the final concert of the competition, you are very welcome to the Big Hall of Royal Conservatory of Brussels on 12 November 2016 (Saturday) at 19:00 !